Cox’s Bazaar – The Jesuit Refugee Service (JRS) was founded by Fr Pedro Arrupe SJ in 1980 with the mission of serving displaced persons where the need is greatest. More than three decades later, this vision continues to lead the work of JRS worldwide. In the fall of 2017, following its mission to serve the most vulnerable of displaced persons, JRS and its partner Caritas visited Cox’s Bazar, Bangladesh, where an estimated 900,000 Rohingya now live as refugees after fleeing escalating violence in Myanmar’s Rakhine State. Among these refugees are thousands of children who remain severely vulnerable to hunger and disease. With education almost nonexistent in the refugee settlements, children are left vulnerable to child labour and trafficking, especially young girls. The need for child protection is more urgent than ever in Cox’s Bazaar, as about 7,000 Rohingya children are separated from or living without their parents. With the support of Caritas Bangladesh, Caritas Luxemburg and other key partners, JRS plans to run six child-friendly spaces (CFS) in Teknaf, one of the camps in Cox’s Bazar. These spaces will provide psychosocial support, case management, and child care through non-educational activities. Additionally, children will receive supplementary nutrition and basic health care services. After being recruited in January, the dedicated CFS Project Team staff underwent orientation with Mr Shishir of Caritas Bangladesh in March. Last month, JRS organised another training workshop on providing psychosocial support (PSS). The PSS workshop focused on learning new psychosocial skills for providing Rohingya refugee children with care. Through a variety of exercises conducted by Clowns Science Dreams, staff learned how to ensure children’s participation and enjoyment in the CFS. The activities emphasised relieving stress, addressing past traumatic experiences, and letting go of pain. 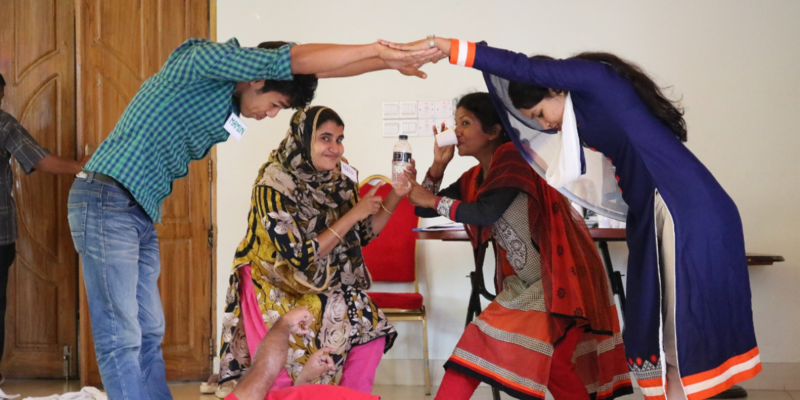 “As PSS team members and CFS facilitators we have learnt…how to understand the psychology of children as we engage in providing support to them,” said Francis Dores, a JRS team member in Bangladesh. 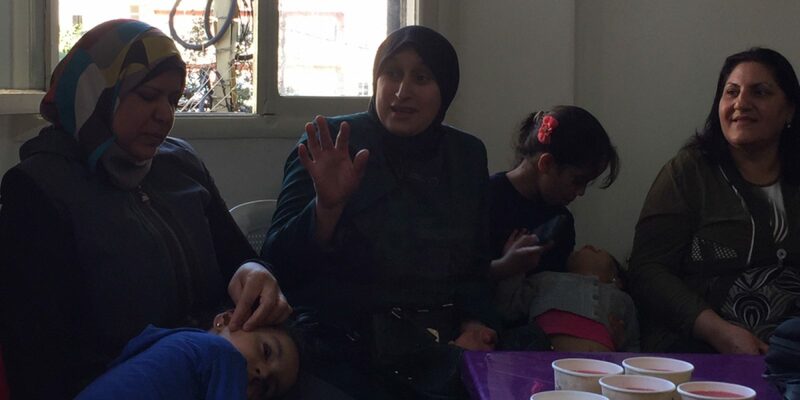 Other workshop participants said that their newfound skills would help refugee children break the monotony of daily life in the camps and heal the scars of trauma.